After a stormy night woke up to a bit of sun and warmth, giving us a new enthusiasm for the day. 9:30 am, ready to go but lock keeper was off on other tasks so we decided to operate the last lock 46 ourselves, as a symbolic gesture of leaving the Royal Canal.Alas, boat would not start. Flat battery, and the heavy rain was back. 11:50 am, found people with jump leads, supplied by a very helpful man, Philip, started up and ran the engine for half an hour before taking the plunge out of the Royal Canal and into the Shannon. 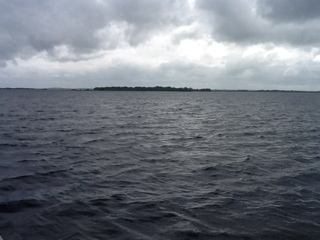 Weather was now improving, sun coming back out, wind calming again. 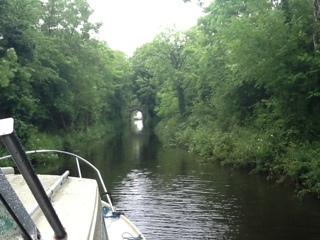 Amazing that this last 100 yards of the Royal Canal ended up being amonst our most challenging journey so far. 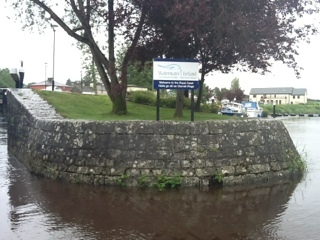 ... to arrive at our first Shannon Waterways lock. John Roche wrote, "At Cloodara we entered the last lock. In a few minutes the final stretch of canal is covered and with cheers and a war dance by the youngsters we float on the clear blue waters of the river which flows here between level reed fringed banks. The Kitty revels in the freedom from the confined waters of the canal. With gathering speed she heads away fro Lainsborough". After a cruise down, what seemed unusual to us, a wide sprawling Shannon to Lainsborough, where we did not stop, we were about to enter the "big sea" of Lough Ree, with our minds full of the horror stories of the lake we had been told on the way. 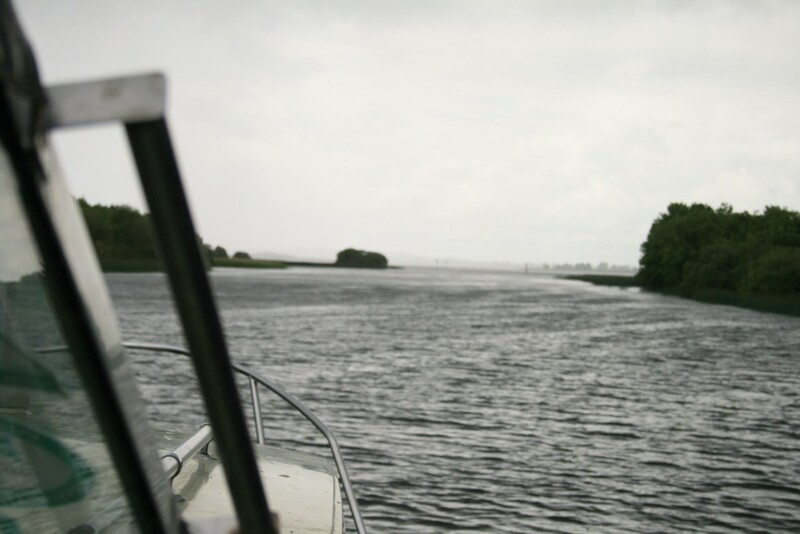 Until this point we had passed several cruisers calmly cruising but as we were to enter Lough Ree it was a kind of no return dessert. 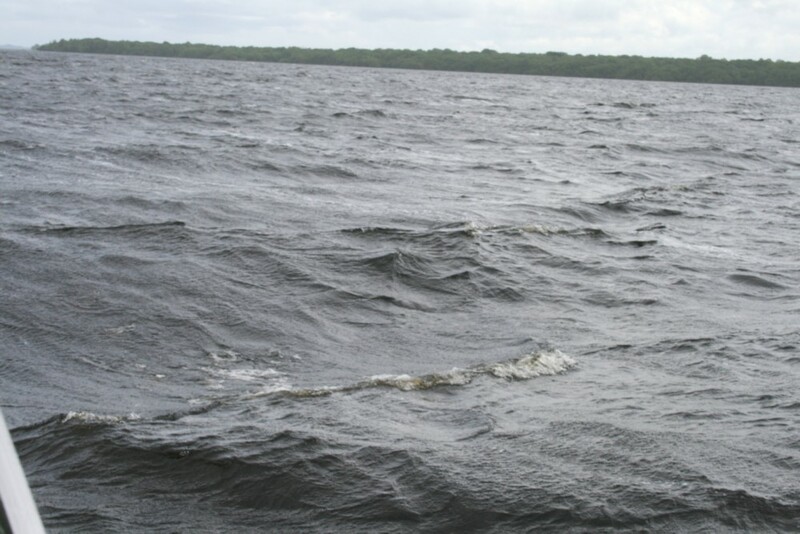 The manual told us never to enter the lake if it is ever windy or visibility low, and never enter without another boat nearby. 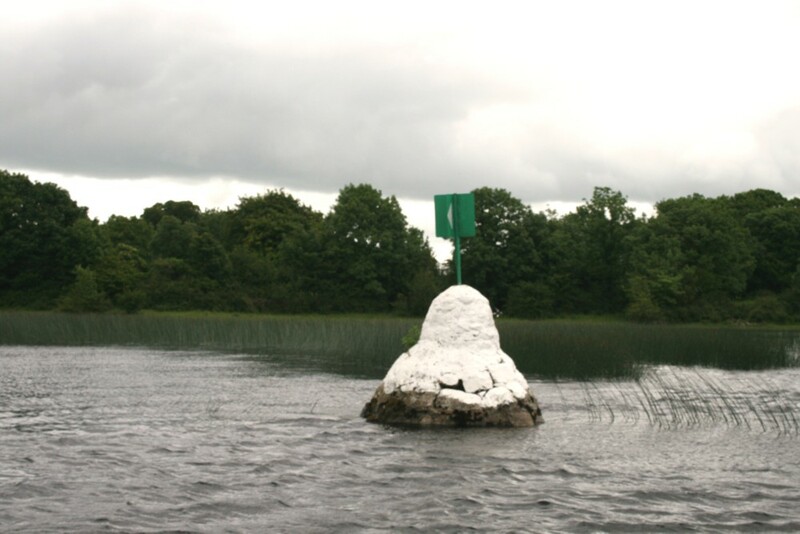 2:10 pm, we did the crazy thing and entered Lough Ree in howling wind and rain with marker buoys showing our way barely visible. and we could see our way. 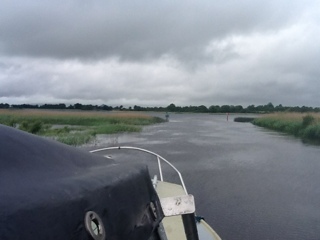 6:20 pm, we were out of Lough Ree back into calmer waters of the River Shannon unscathed, no sea sickness and Kenmor, the boat, had performed very well ... better than in the canals, really. 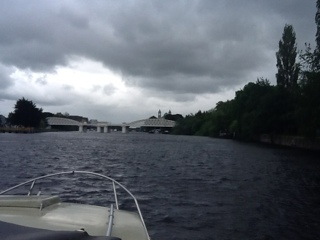 ... and then we cruised into Athlone. 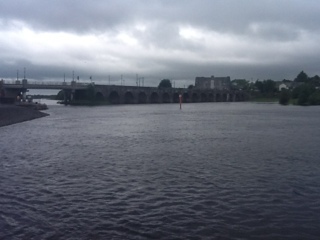 John Roche wrote dearly about Athlone, "The spires of the churches rise to welcome us. As we enter the calmer water the towers and bridges of the old town stand our clearly in the rays of the setting sun"
We were given all kinds of helpful advice and directions and warmly invited to the local regatta. 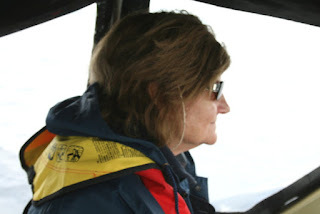 We anchored for the night, and in the morning to an excited shout of, daddy here's a milkwoman in a boat, a pleasant voiced farmer's wife came alongside with fresh cream and eggs. 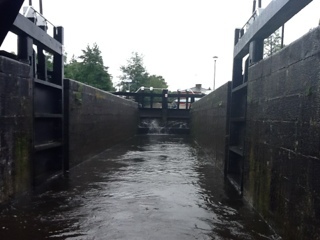 6:50 pm, Athlone Lock, a huge lock and two lock keepers, yet everything is automatic and not much of a drop. Even so, the wind here and water waves seemed stronger than on Lough Ree. 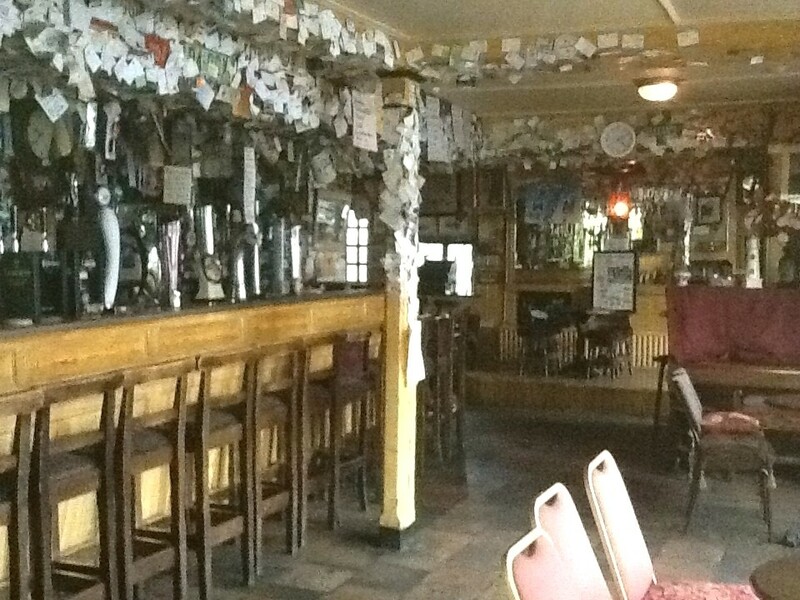 The boys there advised us that we would reach Shannonbridge before darm and that we would find electric hook ups here as I needed to charge up so I could write this for you. 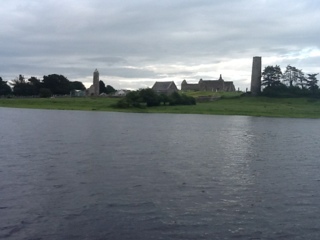 8:15 pm, we passed Clonmacnois monastic site and evening sun was breaking through the cloud, wind had settled and the Shannon was calm. 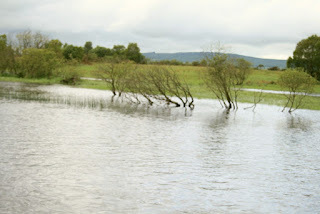 I think John Roche must have written this around here, "The river narrows again and we run between sloping banks fragrant with the scents of a hundred different flowers and plants. A south west wind tempers the heat of the afternoon sun, the water ripples from the bow of our good ship, the tea table is set on the deck. 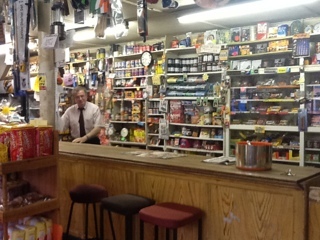 ... and this is the bar part, but I took this the following morning because once we settled into the bar I was not taking pics that evening. 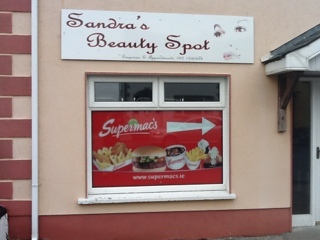 We never did eat there, when we arrived kitchen was closed, but a promotion man did give me a free pint of the new Smithwicks Pale Ale, which I did not like very much but the price was right, of course. Smithwicks Pale Ale is a very sweet tasting lager beer but has quite a kick in it. 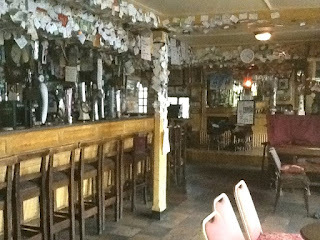 The promotions man did say it was developed to attract young drinkers who thought regular Smithwicks was for old farts. He actually put me off when he said the beer was made from hops grown in Oregon. Nothing against Oregon,but i think Irish beer should be made from hops grown in Ireland if more of that could be possible.